The Trinity Centre for Digital Humanities brings together researchers from many disciplinary backgrounds to facilitate the novel investigation, analysis, synthesis, and presentation of information in electronic form. We also facilitate dialogue between the research and educational programmes that contribute to Trinity’s reputation in this field, drawing in as well the activities of the Library and Research Computing. The Digital Humanities Centre is a meeting ground for all of these experts, facilitating the collaborations and open exchange of ideas that is at the heart of Trinity’s international reputation in this field. 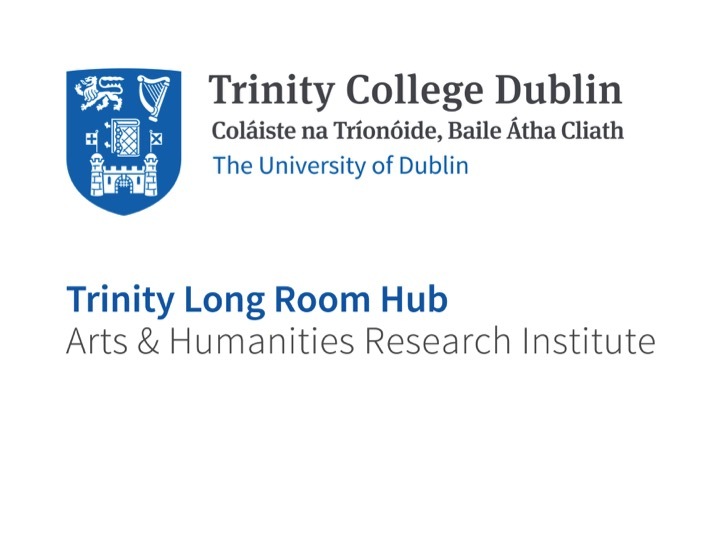 The Trinity Centre for Digital Humanities is based in the Trinity Long Room Hub, Trinity’s arts and humanities research institute. Tugann Lárionad Daonnachtaí Digiteacha Choláiste na Tríonóide taighdeoirí ó chúlraí disciplín éagsúla le chéile chun fiosrúchán, anailís, sintéis agus cur i láthair nua ar fhaisnéis i bhfoirm leictreonach a éascú. Déantar éascú chomh maith ar an gcomhphlé idir na cláir taighde agus oideachais a thacaíonn le clú Choláiste na Tríonóide sa réimse seo, chomh maith le gníomhaíochtaí na Leabharlainne agus na Ríomhaireachta Taighde. Is trí Lárionad Daonnachtaí Digiteacha Choláiste na Tríonóide a tharlaíonn comhoibriú idir na saineolaithe seo mar aon le malartú smaointeoireachta oscailte, atá mar ghné lárnach i gclú Choláiste na Tríonóide sa réimse seo. Tá Lárionad Daonnachtaí Digiteacha Choláiste na Tríonóide lonnaithe i Mol an tSeomra Fhada, Coláiste na Tríonóide, institiúid taighde ealaíon agus daonnachtaí an choláiste.